Every air conditioner has a specific power output level that needs to be tailored to fit the parameters of your home. You can probably guess why an underpowered unit won’t work. It will just run and run all day without ever getting your home cool and waste a huge amount of energy in the process. What most people don’t understand, however, is that overpowered systems can be just as wasteful. Air conditioners use much more energy starting up and shutting down than they do simply running. For this reason, they should run for at least 15 minutes at a time in order to make the best use of consumed energy. An overpowered unit, however, will cool the home too quickly and shut down, only to turn on again just a few minutes later as the house warms up. The process is known as short cycling, and it can increase wear and tear on the system as well as raising bills. An ideal air conditioner matches the specifics of your home perfectly and is neither overpowered, nor underpowered, but just right. 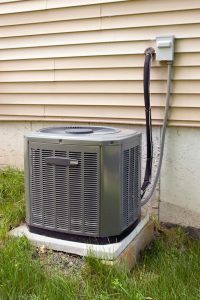 Once you know the power load of your air conditioner, you need to determine which system in your price range makes the most effective use of its energy. Luckily, there’s an easy way to do that. The SEER rating, which stands for Seasonal Energy Efficiency Ratio, gives you a quick-glance look at the system’s effectiveness. The higher the rating, the better job it does at cooling your home. Every air conditioner comes with a warranty covering the parts involved in case they break down during a certain period of time. The longer the warranty, the greater period of time for which you’re covered in the event repairs are needed down the road. One way to help the new system last beyond its warranty is to schedule annual maintenance from your service technician. Maintenance deals with all of the little issues that contribute to wear and tear, such as loose bolts or a lack of lubricant on moving parts. By planning them regularly, you can help extend the life of your system beyond the warranty, as well as lower the strain on the system in the interim. For quality air conditioning installation services in Bay Village, OH, call Westland Heating & Air Conditioning today!